The Ogden Valley Balloon Festival gives back to the community by supporting the Ogden Rescue Mission and Mountain Arts and Music, and 24/7 Physician On Call for single parents. Ogden Rescue Mission is serving Breakfast on Friday August 17th, Saturday August 18th and Sunday August 19th from 7 A.M. to 10 A.M . They will serve sausage and gravy with biscuits, pancakes, their famous chili egg puff, hash browns, scrambled eggs, and ham hash. Festival attendees will have the choice of coffee or orange juice to go with their meal. Breakfast is “all you can eat,” at $12 for adults and $9 for children (price is subject to change). 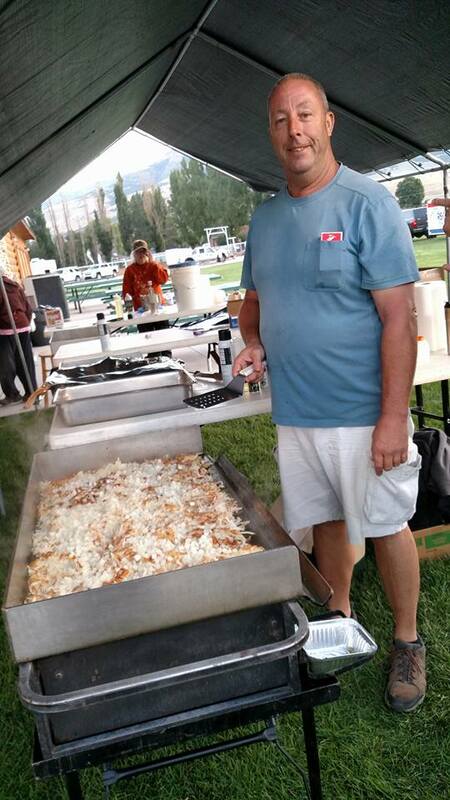 The Ogden Rescue Mission started serving breakfast at the Balloon Festival when it first began back in 1994 for several years before taking a five-year break. They have served breakfast for the festival for the last four years. The Ogden Rescue Mission opens their doors for anybody in need of food and shelter. The shelter offers breakfast and dinner to transients, as well as to people participating in programs within their facility. The Ogden Rescue Mission has both male and female residents. Chapel services as well as bible studies are offered at the rescue mission. Since they offer these services it prevents them from taking government funding. Not only are they providing meals for people in need, the rescue mission also offers a drug and alcohol rehabilitation program to help people struggling with drug abuse. After ten months in the program, the person can start seeking employment opportunities. All proceeds benefit the Ogden Rescue Mission in honor of the late Gary Dowd, who ran the breakfast at the balloon festival in prior years. Come out, support, and enjoy the amazing breakfast prepared by the Ogden Rescue Mission! The Ogden Valley Balloon Festival is also incorporating Mountain Arts and Music into the festival. Mountain Arts and Music is a non-profit organization based in the Upper Oden Valley which provides acoustical music during the breakfast and art programs during the event. This amazing non-profit organization strives to support the creative arts with in the Ogden Valley by providing opportunities for people to create art and perform. By supporting and attending the Ogden Valley Balloon Festival, you are supporting our philanthropic endeavors, The Ogden Rescue Mission and Mountain Arts and Music. Direct donations to 24/7 Physician On Call for single parents can be made here.